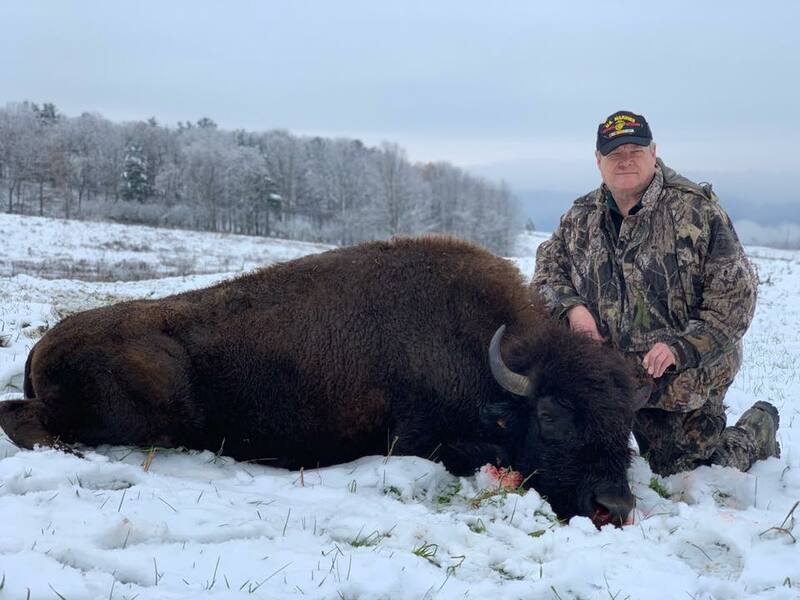 At Tioga Ranch in Eastern Pennsylvania we have hundreds of acres where you can hunt, and if you’re interested in hunting buffalo, our North American Bison (aka buffalo) can be hunted all year long. 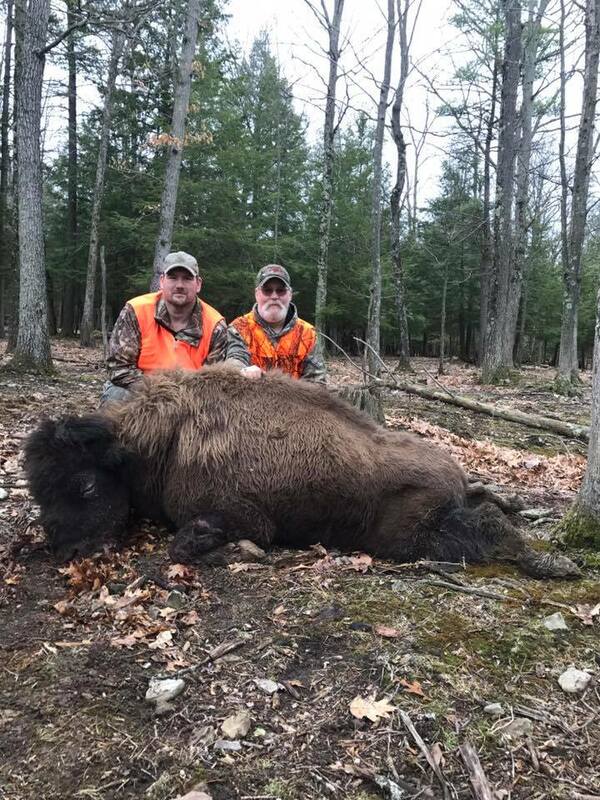 Weighing between 600 and 2000 pounds or so, these massive animals yield a lot of meat you can eat yourself and/or share with friends and family. Interested in a meat hunt or European mount? 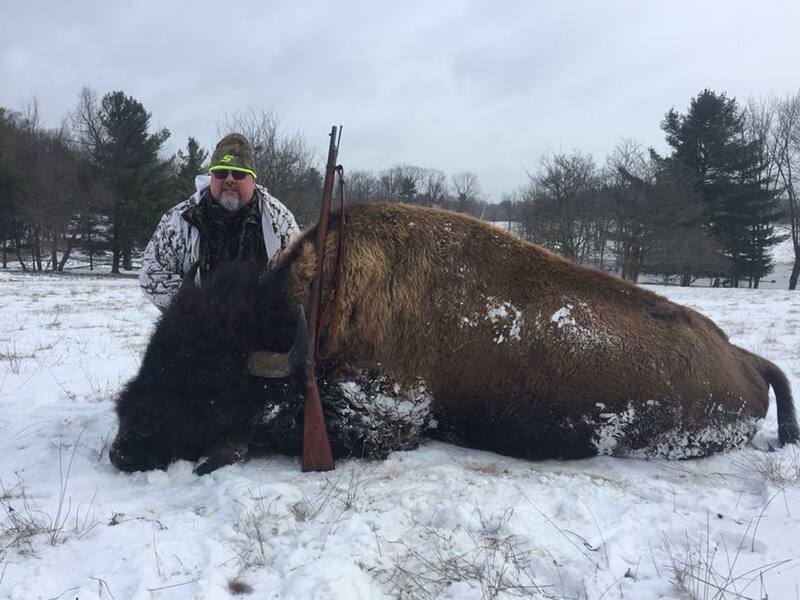 Come hunt our buffalo anytime of the year… and if you’re really most interested in Mounting, then the best time to hunt is from November through April! 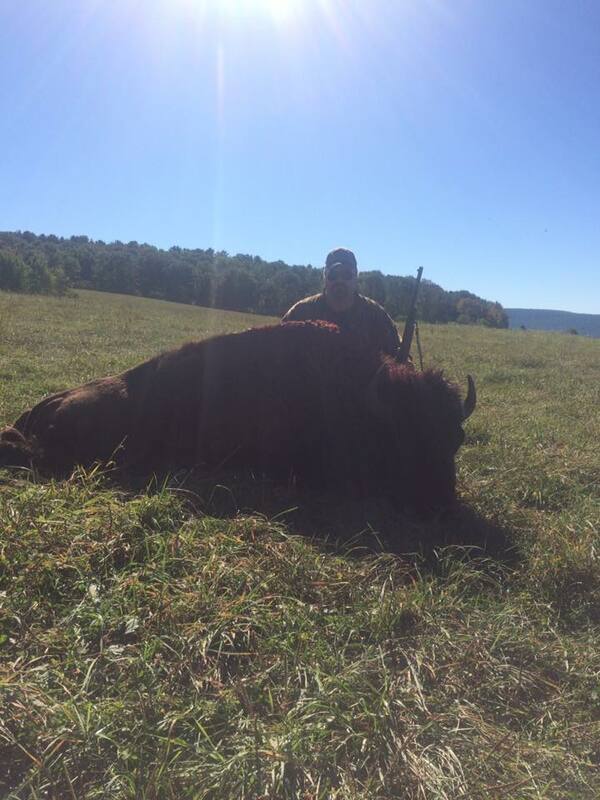 At Tioga Ranch, we allow hunting of both cows (females) and bulls (males). 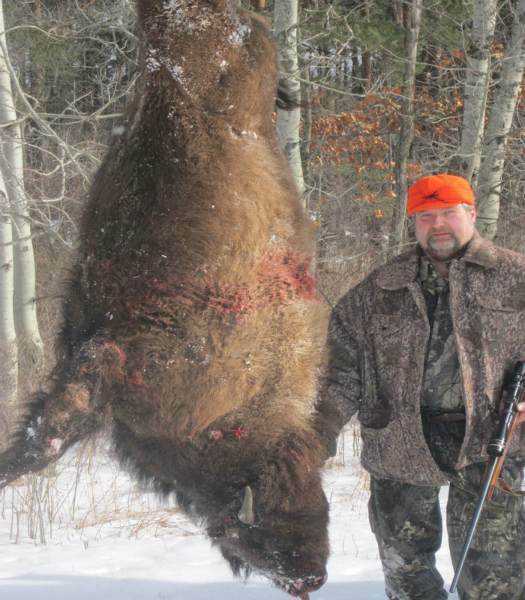 To hunt and kill a cow, the price ranges between $3000 and $4000. 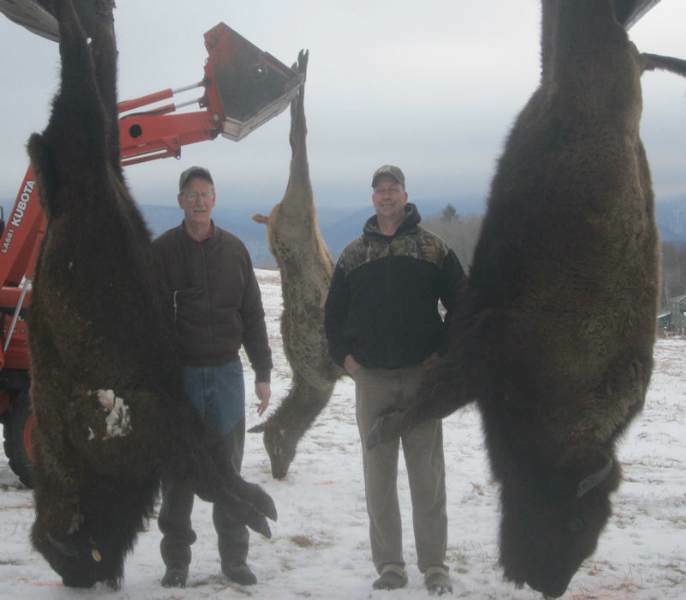 To hunt and kill a bull, the price ranges between $3500 and $6000. 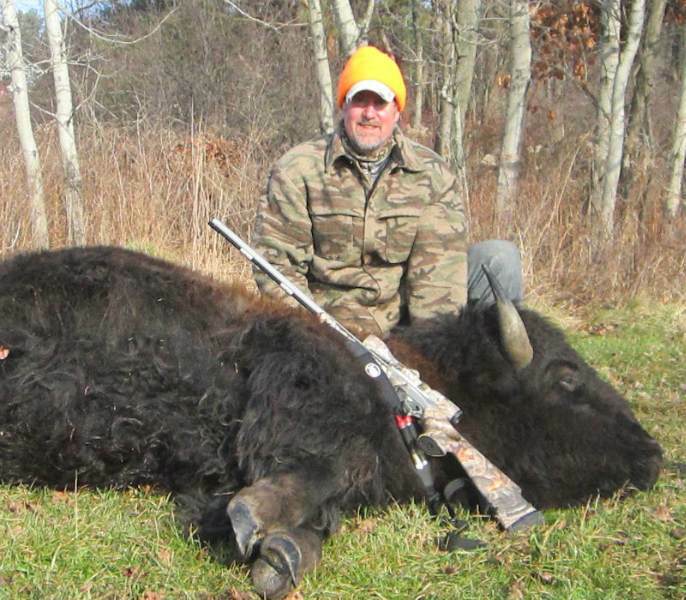 Pricing ultimately depends on the size of the buffalo. Notably, we provide Skinning for $200, and/or butchering/vacuum sealing for $.75/lb. hanging weight. 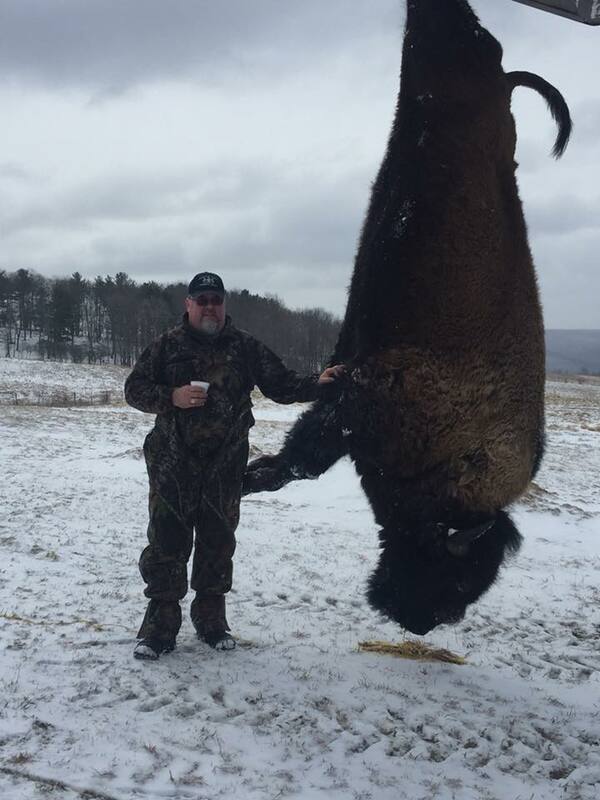 To “Skin and Quarter” a buffalo it costs $300. 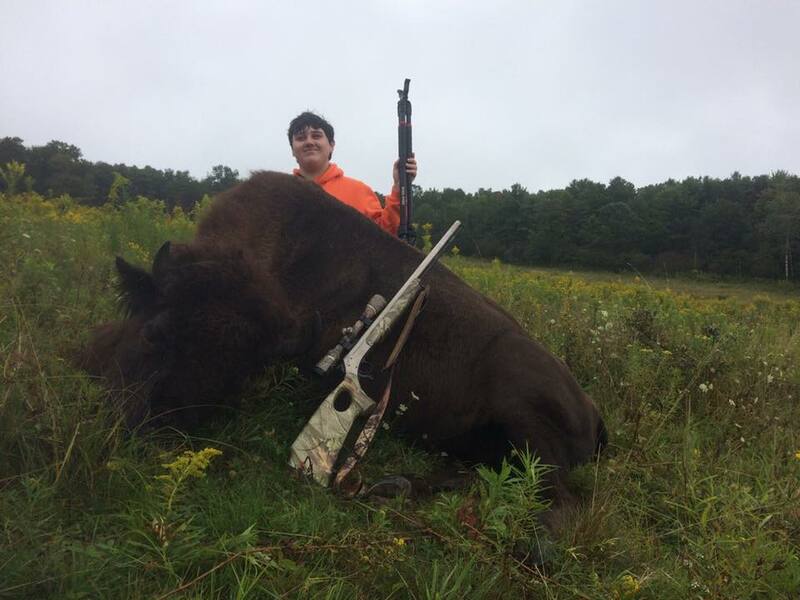 Why hunt buffalo? How about for bragging rights? Get one and you can tell your friends you managed to hunt down the largest land animal in North America! Big bulls can be six feet high and weigh over 2,000 pounds, while cows can weigh over 1,000 pounds– they’re simply massive creatures. 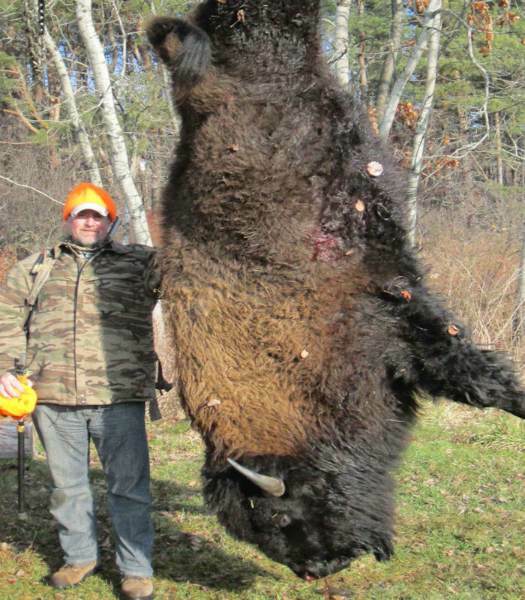 Imagine the reaction of people when you show them a photograph of you with your kill! 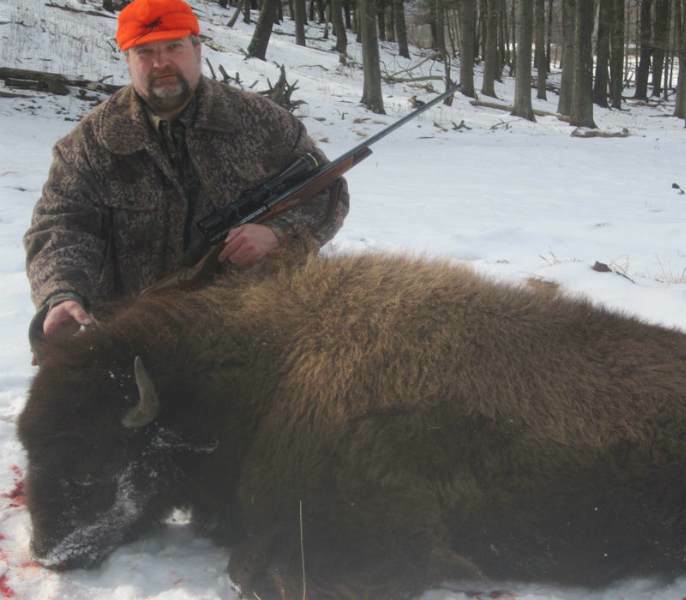 If you’re a hunter, going on buffalo hunt involves looking for telltale signs. Will you see well-used rubs (scratching surfaces) or large clumps of shed hair hanging from brush along their trails? Between you and your hunting guide, it’s a good challenge to find their trails and ultimately come upon them. 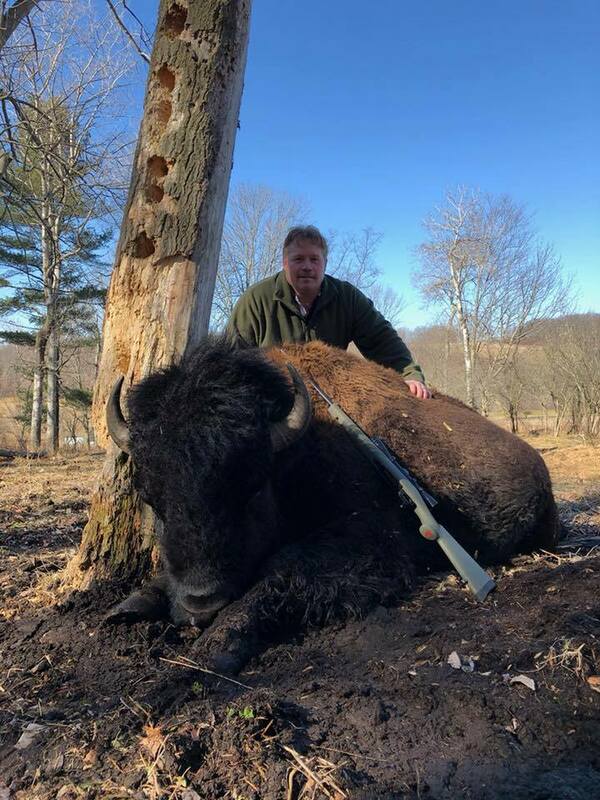 Meanwhile, a buffalo hunt requires physical stamina– this is your chance to be outdoors, on the land, moving around and figuring out where the buffalo roam. 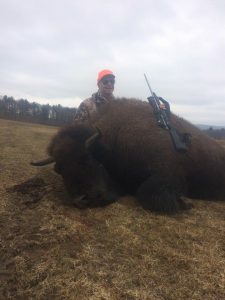 Once you do get one, how are you going to get it back to “homebase?” For those who appreciate the process of hunting– preparing for the hunt, doing the hunt, successfully shooting an animal and killing it, and then bringing home the meat– a buffalo hunt is a memorable and exciting adventure. 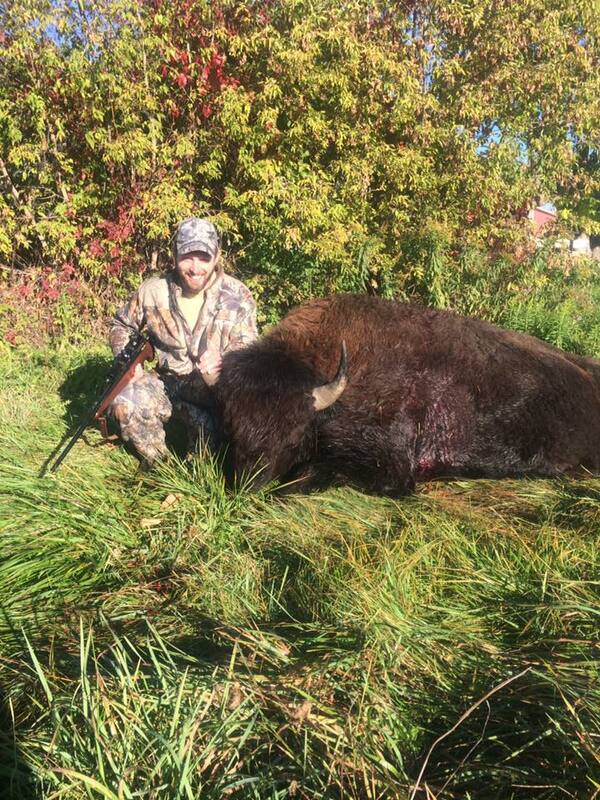 By the way, did you know buffalo hides make great rugs and blankets when tanned? You can use their skulls as wall ornaments. What’s more, other parts of their bodies can be used for food for humans or for other animals. 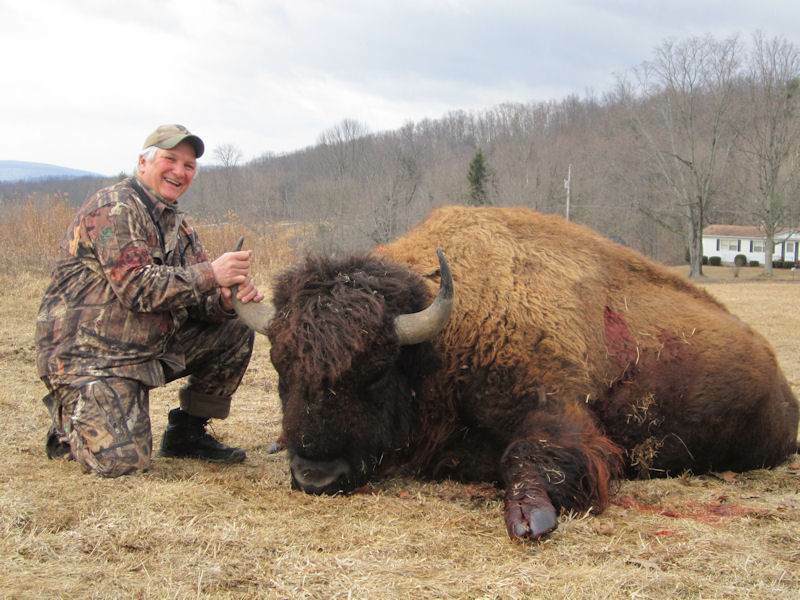 One large buffalo can provide 600 pounds of meat or more! Their meat is a great protein source that you can use to feed yourself, your family and others. 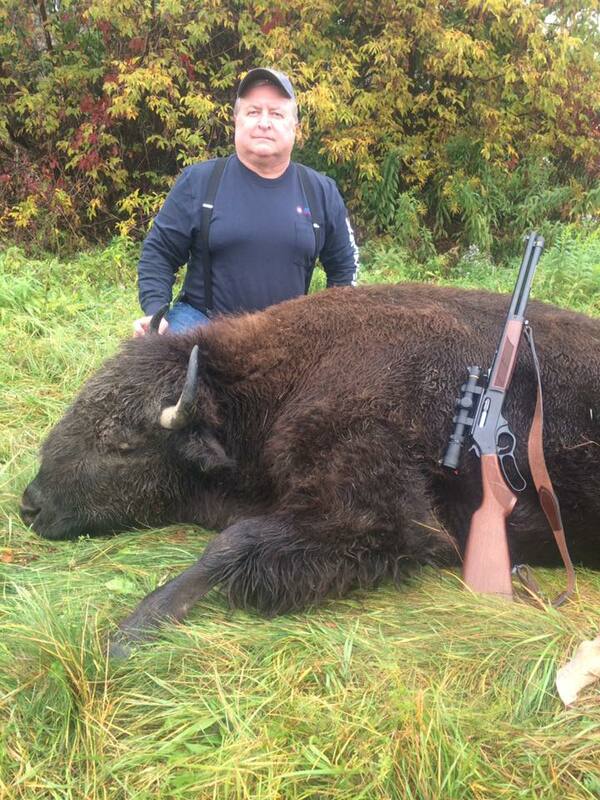 Bison burgers anyone? Since buffalo are big, you should bring a rifle that can bring them down. A .44 magnum or .338 rounds might not cut it– but a .50 caliber/175 grain round or larger should do the job. 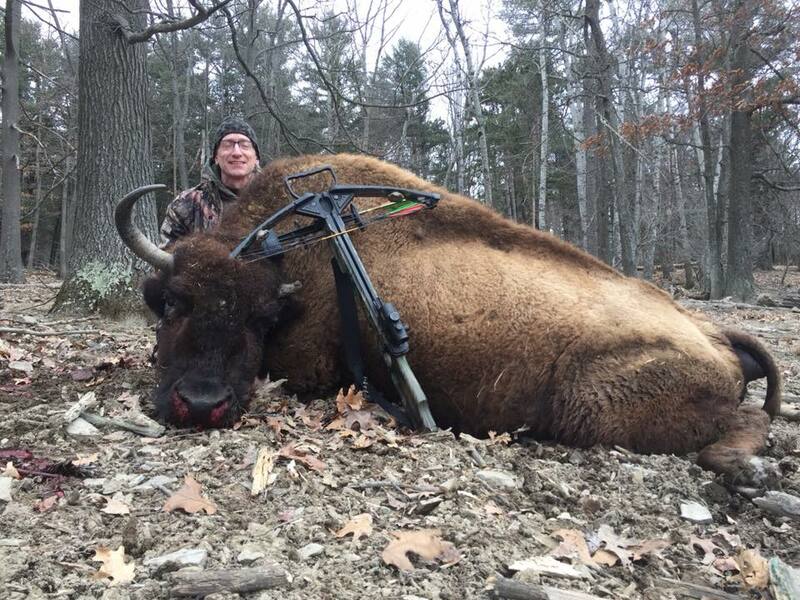 For those who want to use a bow to hunt buffalo, you’ll want one that has at least eighty pounds of draw and can handle arrows at least 600-700 grains when weighed. Ideally, you’ll want to aim your shot behind the shoulder of a buffalo if you want him or her to die quickly. Never shoot ‘em in the head– that won’t end well. As for what to wear, bring clothing that fits the season and expected weather. Wear stuff that you don’t mind getting muddy or wet– and dress in layers. If it’s really cold out, you’ll be glad you wore lots of clothing, and if it warms up during the day, you can take layers off in order to be comfortable. 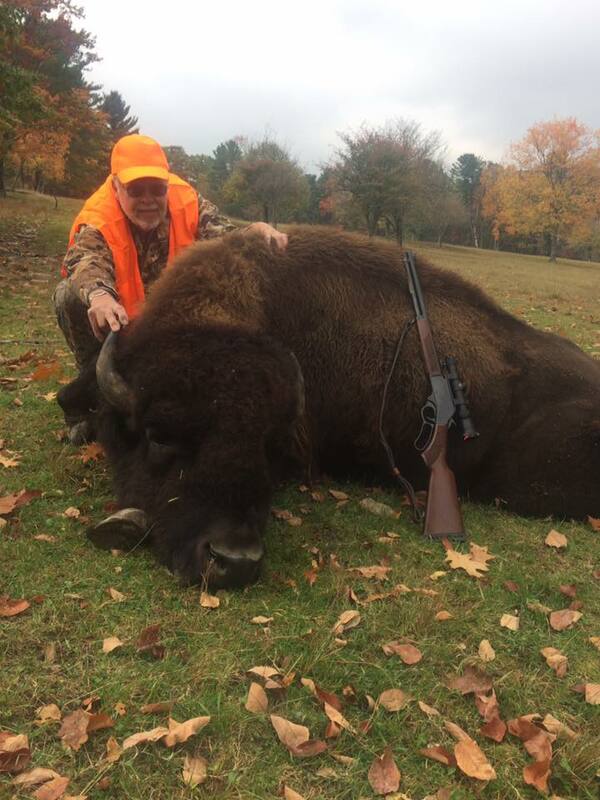 Once you kill a buffalo, you’ve got to move a 1,000-pound plus body, right? You’ll need help. 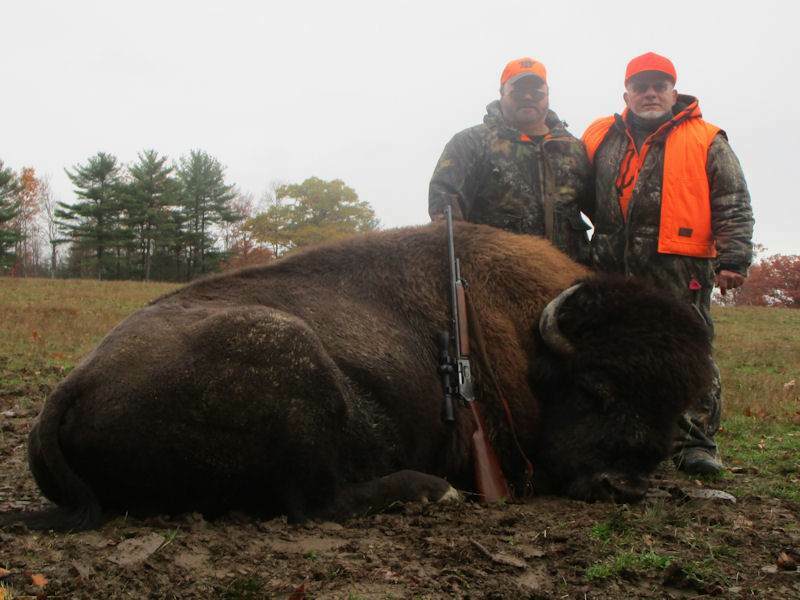 Oftentimes, the buffalo is skinned on site, attending to whichever part of the carcass faces the sky. Then meat is removed in order to lighten up the load. 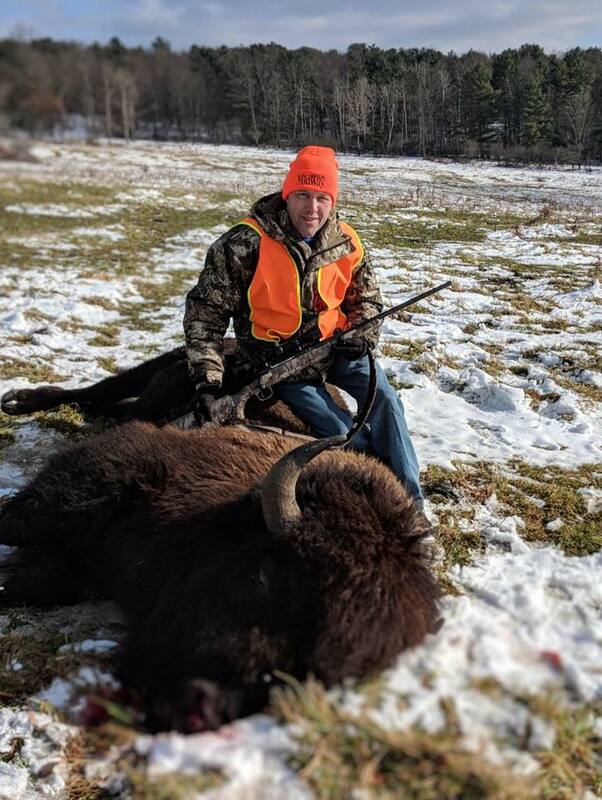 The animal’s position ultimately determines the skinning and butchering process– and on a guided hunt, it’s nice to know you’ve got help to do all of that. 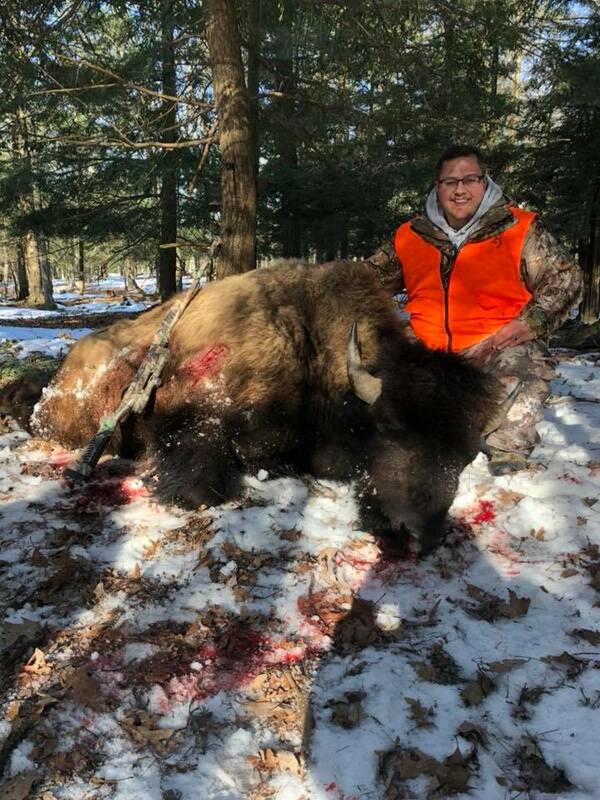 When you hunt at Tioga Ranch, you’re not alone; it’s nice to know you’ve got others around you to help with the entire hunt from start-to-finish.